Enter your ancestor's name below and we'll search Virginia historical newspapers to help you learn more. If you can trace your family history back to the first Pilgrims, your ancestors may have settled in Virginia. 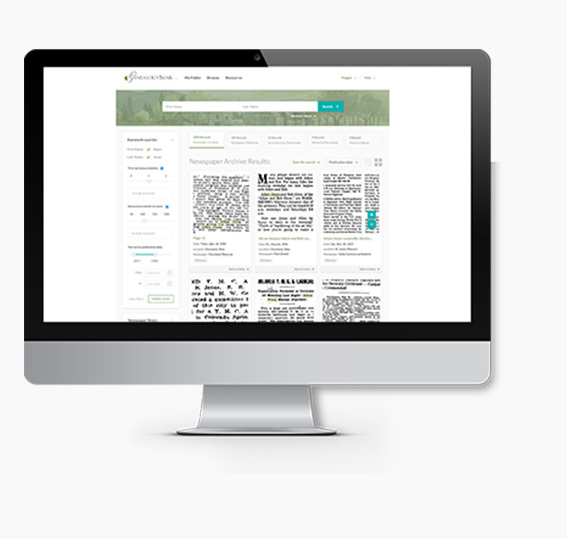 Use digital newspaper archives to search for your ancestors and uncover stories about the names and dates on your family tree. 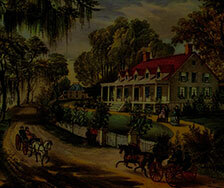 Since its founding, Virginia has been at the core of America’s history. As one of the 13 colonies, Virginia was home to many of our founding fathers including George Washington and Thomas Jefferson. Four of America’s first five presidents were Virginians. Our collection of Virginia newspaper archives dates back 40 years before the American Revolution. Search for your ancestors to learn more about their daily lives as well as their role in shaping America from our fight for Independence to the Civil War to twentieth-century America to the 80s. Find full digital archives of newspapers from Virginia’s major cities. Search fully digital popular publications such as the Alexandria Gazette, Fredericksburg Virginia Herald, Virginia Federalist, and more! Family histories are waiting to be uncovered in Virginia newspaper archives. If you are one of the Americans, who can trace your family roots back to the early Pilgrims, search our Virginia newspapers to find more details about your ancestors. Local newspapers can include some of the only remaining records of our ancestors’ lives. Find birth and marriage announcement, obituaries with intimate details of our ancestors’ lives, and stories about their daily lives.